What are some of the reasons that may of discouraged you from creating a water feature for your home's landscape? Here at Everything Waterfalls, we have the ultimate waterfall experience to help you to enjoy the art and hobby of water gardening. 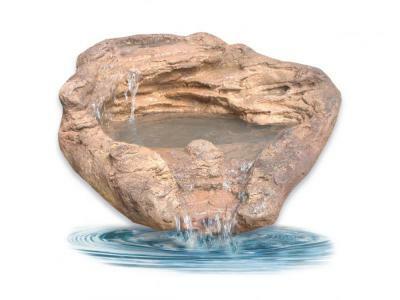 Our pond cascade waterfalls is yet another spectacular rock waterfalls from Universal Rock's unique line of waterfall designs that are very user-friendly, maintenance easy and excellent for the do it yourself home owner. 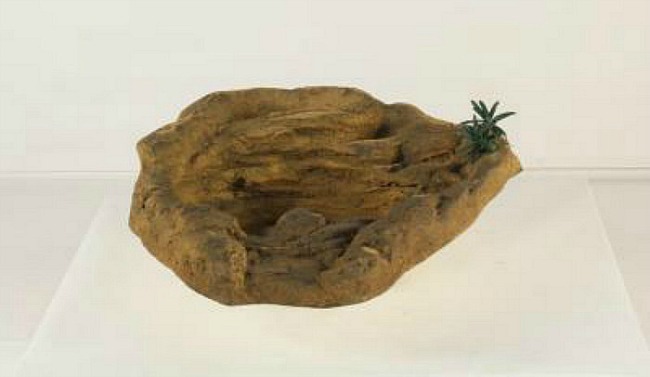 This small waterfalls pond rock has some rather interesting features for the water garden enthusiast. This very inviting waterfall fountain needs to be place in the ground so a small amount of digging is required. This cascading treasure starts with a small cascade, that cascades into a pond, and than a spillway for flowing into yet more creative possibilities. Our 14" high cascade waterfalls SPC-005 can overflow into a pond-less reservoir or maybe even creating a larger water garden with many of our other stylish prefab rock ponds. What makes our backyard waterfalls and pool waterfalls look so real? Our waterfall designs are all castings from real rock formations showing off their awesome beauty and exceptional rock detail of many many years of climate weathering and erosion sculpting. This is a really cool way to capture nature's artwork and being able to use one of these incredible rock waterfalls for your yard's landscape. Then the rest is left for you to create your own unique water garden that's been just a fantasy. This small waterfalls only weighs a mere 18 pounds while real rock could be estimated at about 900 pounds. These artificial waterfalls are fabricated from a combination of polymers for excellent properties and characteristics for the ultimate outdoor waterfalls. With our spectacular waterfalls we can make your waterfall dreams finally turn into reality for your very own decorative water garden oasis.